You did all you had to do. You prepared the best you could. You did everything right on the big day, following the books, following the common advice. Someone else got the job. You tried another time, and you failed again. Perhaps you failed better, but still–you did not get a job. The desired outcome did not come. First technique: I’m interested only in this job! Second technique: I am the important one! If you followed the common advice in your interview and didn’t succeed, why not to experiment? Why not trying something new, playing a bit with the mind of the recruiting managers? In this article I will describe two unorthodox and rather extreme techniques of interviewing for a job. You can give them a try, especially when you have nothing to lose. Let’s start! With this interview strategy, you try to convince the interviewers that you care only for their job offer. It is all about recognizing their values and strengths, praising their work, and presenting yourself as someone who “was born to work for them“. Nothing less than this–born to work for them, born to get the job they advertise. We live in 21st century, in the online world. Most people send dozens of job applications each week, and often they do not even check the job offer carefully. They just keep pressing the submit button, and the technology takes care of the rest. Ask them a lot of questions. Inquire about your working duties, their company culture, your new colleagues, the goals of the company, their vision, their product portfolio, their long term plans, etc. Listen carefully to their answers and emphasize how exciting they sound to you. Show your interest and excitement. Anytime they ask you a question about your goals and plans for the future, connect your plans with their company. For example, when they ask you where you see yourself in five or in ten years time, say them that you see yourself working for them, on a particular position (either the same one you apply for, or one that is a level higher). 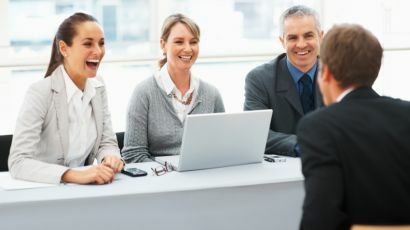 In some cases, especially when we speak about people with vast experience, people who apply for senior management, top management, and executive positions (or for highly technical jobs), playing the important guy can be a good interview strategy. Following this technique in your job interview, you try to make the HR managers believe that you are irreplaceable, the king of the town, and basically the very best candidate for the position. At the same time, however, you have plenty of other offers on your table–offers that are intriguing and exciting. They rather get you on board quickly–right now, unless they want to see you working for one of their competitors. Do note hesitate to come five minutes late for your interview, strongly apologize, saying that you are just coming from a meeting with a CEO of some other company–perhaps one of their main competitors. Anything you speak about – previous experience, education, or even your personal interests and hobbies, mention some big names and words. CEOs, executives, directors, you name it. If you say that you like to play tennis, why not to mention that you beat a member of IBM’s BOD in a doubles match last week? Explain clearly what you can offer to their company, but also stress that people with your skills and experience have high price on the employment market. If they want to have you in their team, they have to be ready to open their wallet. Exceptional salary and a company car is a bare minimum you’d accept. Do not forget to stress that three other job offers are lying on your table, waiting for your signature. Just for the case that they’d hesitate to hire you. You can say that you prefer to work for their company, that you like their job offer, but at the same time they should decide quickly. Both interviewing techniques I just described are rather extreme. You will definitely stand out if you apply one of them in your interview, and the recruiting managers will remember you for a long time. 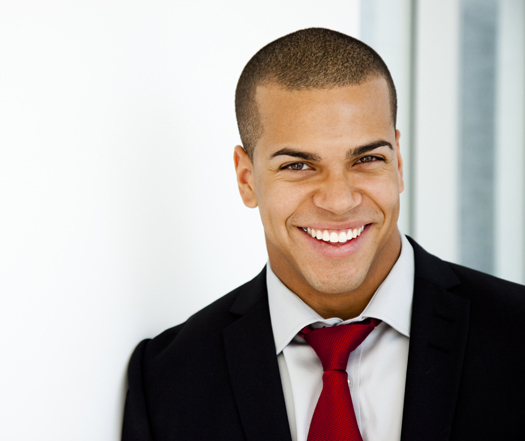 The fact that they will remember you, however, doesn’t necessarily imply that they will offer you a job…. You can give one of these techniques a shot, especially if you have nothing to lose, or if you experience setbacks in the interviews on an ongoing basis. For more traditional approach to interview, for learning how to impress the hiring managers, and how to answer the difficult questions they will ask you, refer to our Interview Success Package. Thank you!